home › posts › They Attached A Bronze Hand... ten trees planted for every item purchased. Not being the least bit artistic, the minds of artists have always fascinated me. Where do they come up with such beautiful, unusual, creative masterpieces? 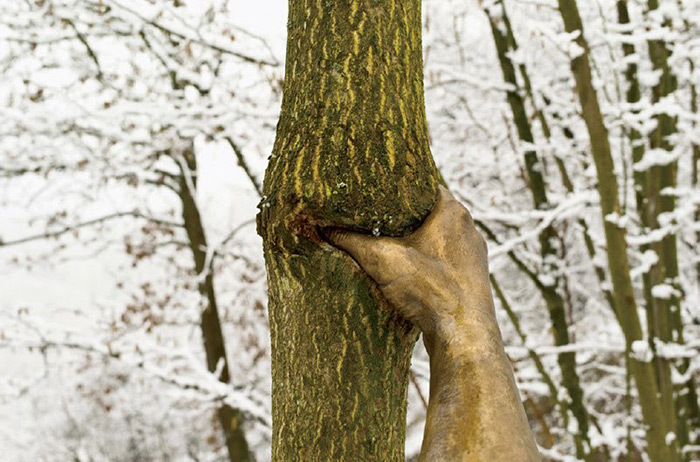 Giuseppe Penone is one of those artists. The bronze sculpture he affixed to a tree at the Nasher Sculpture Center in Dallas, TX in 1968 is creative genius! The sculpture entitled, "Continuerà a crescere tranne che in quel punto" (translated, "It will continue to grow except at this point") was crafted from a cast of Giuseppe's own lower arm and hand. 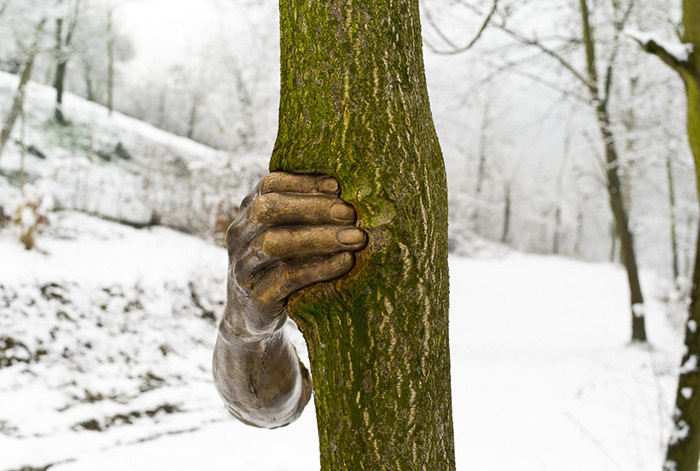 He then attached it to a young sapling with the idea that through the years, the tree would grow around the sculpture. 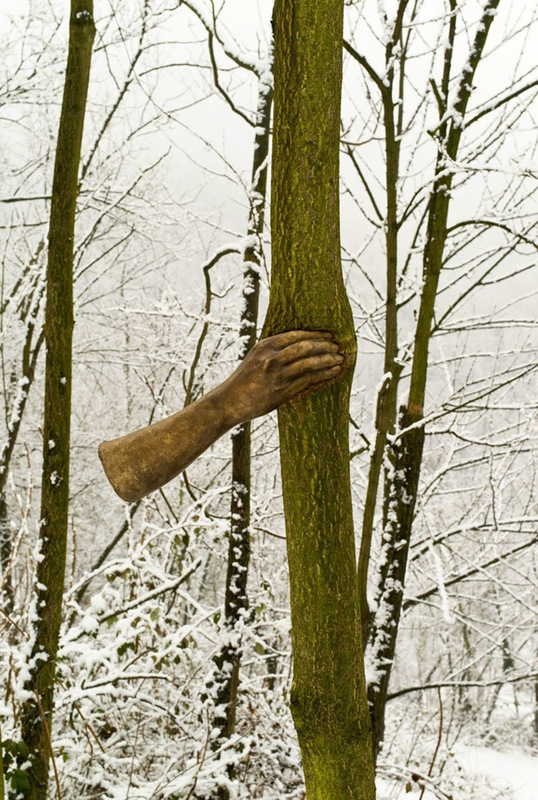 It now has the appearance that the hand is squeezing the tree. Penone wrote in 1968, " I feel the forest breathing and hear the slow, inexorable growth of the wood. I match my breathing to that of the green world around me, I feel the flow of the tree around my hand placed against the trunk. The post They Attached A Bronze Hand To A Tree In 1968. Here's How It Looks Today appeared first on tentree.